You'll be cozy under this New England Patriots Tapestry Blanket while you watch the Patriots game. 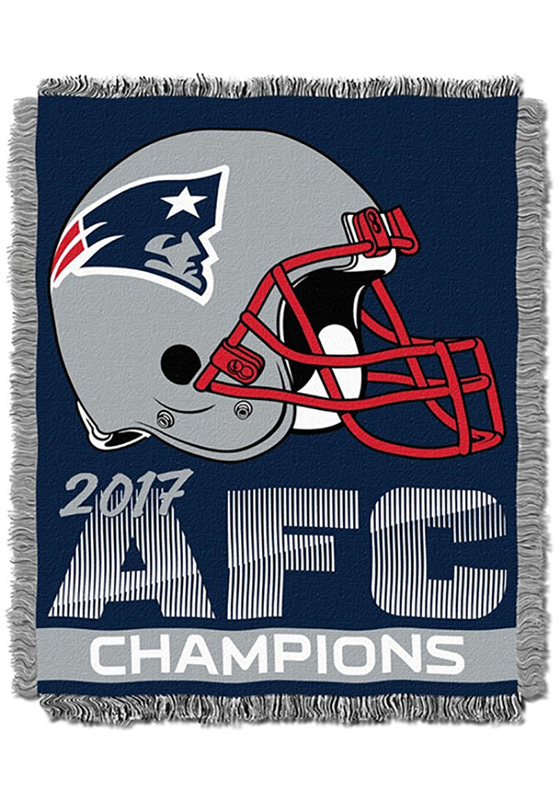 You'll love the look of this New England Patriots Tapestry Blanket, which features a licensed NFL “2017 AFC Champions” with the New England Patriots helmet woven design. This 46"x 60" throw with decorative fringed edges is crafted with vibrant and lasting colors. Use this woven jacquard at the game, on a picnic, as a wall-hanging, or to cuddle under while watching the Patriots play.